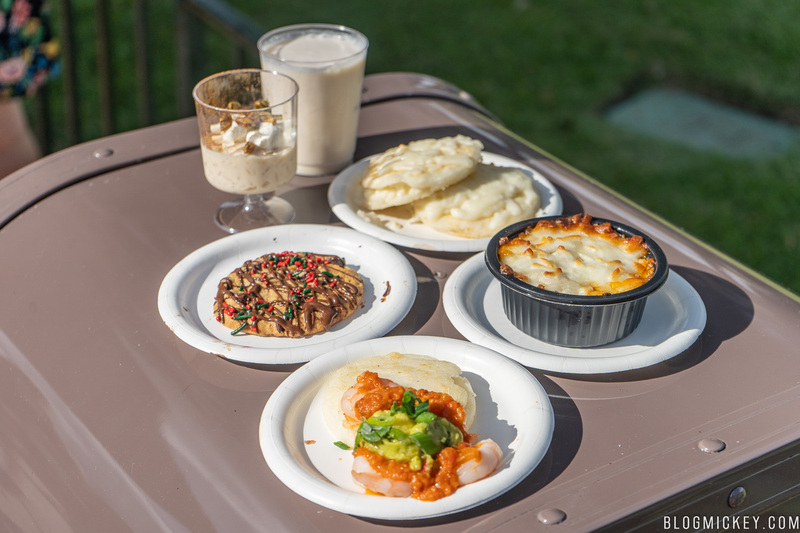 We kick off our 2018 Epcot International Festival of the Holidays reviews with the Feast of the Three Kings Holiday Kitchen. 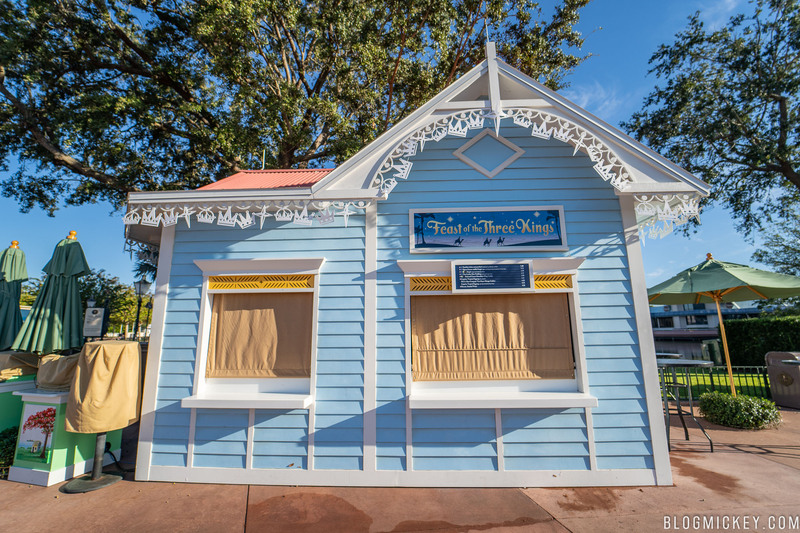 It’s located on the east side of Showcase Plaza, as you’re making a left towards Mexico from Future World. 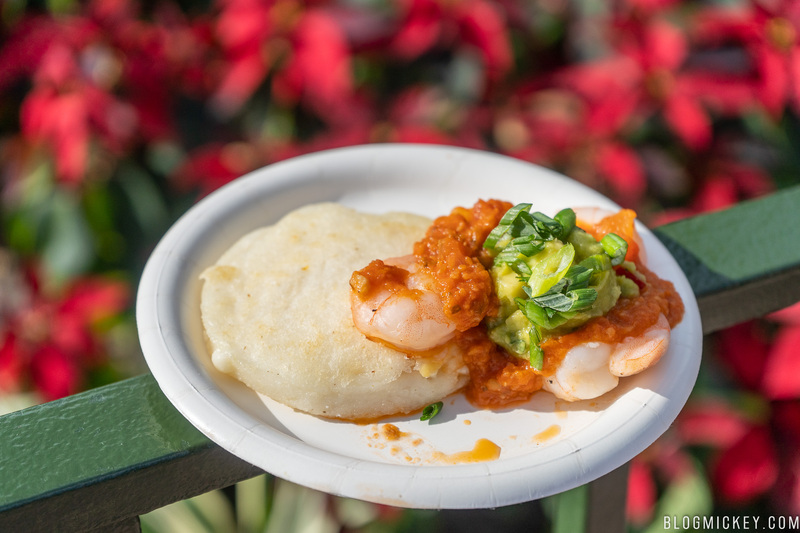 An arepa comes stuffed with queso and topped with shrimp, crushed avocado aji, and tomato sauce. Overall, the dish was probably “just ok”. The shrimp wasn’t anything to write home about, but the little bit of tomato sauce and crushed avocado aji attempted to infuse the dish with flavor. As a rule of thumb, we found that the arepas at the Feast of the Three Kings were really, really bland. Ultimately, it’s this blandness that leads us to recommend passing on this dish and spending your money elsewhere. 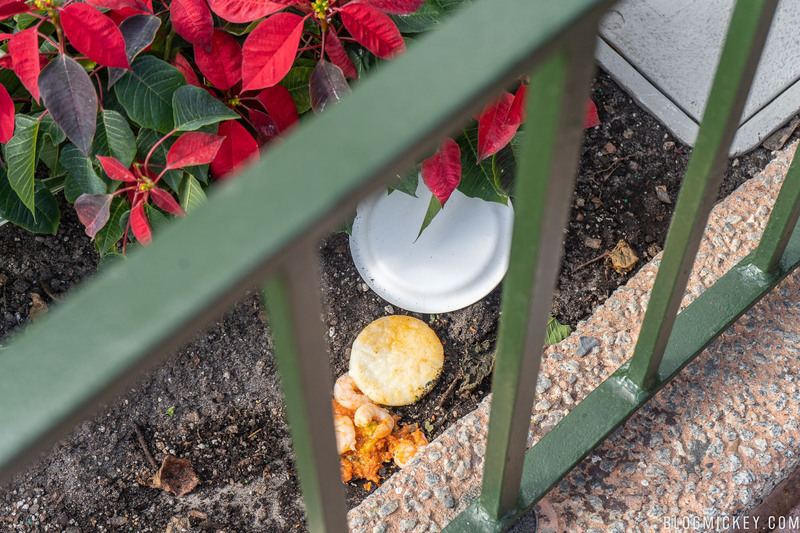 Unfortunately, the dish took a leap off of the railing shortly after this photo, but Cast Members were nice enough to replace the dish. 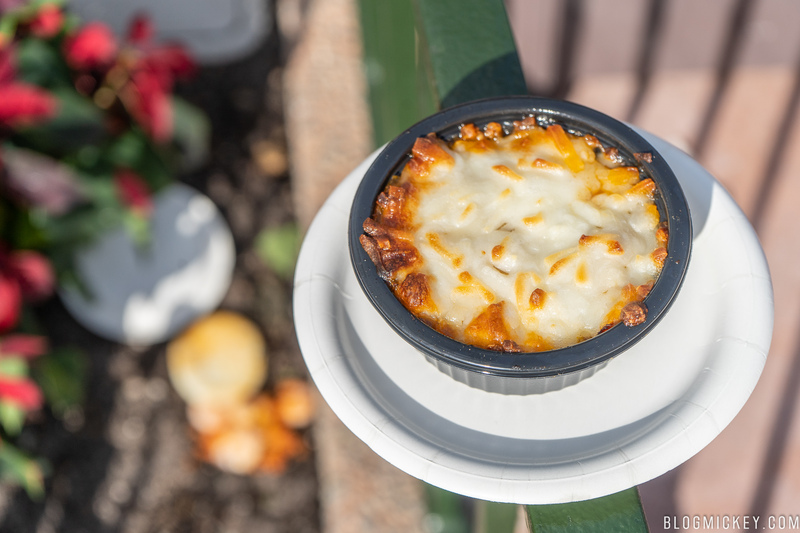 The pastelon is served in a bowl with a layer of cheese on top. The pastelon is essentially a lasagna of sorts. The top layer of cheese keeps the beef inside warm. You’ll also find sweet plantains and olives inside. The sweet plantain replaces the pasta layer you’d find in a traditional lasagna. As far as taste is concerned, it ended up being somewhere close to a sweet taco. It probably ended up being too sweet for something that would likely end up closer to the savory scale without the sweet plantain layers. It’s not a terrible dish if you absolutely must have something from Feast of the Three Kings, but not something that we’d likely return to get. We circle back to the arepas again, this time without any accompaniments. As you might imagine given our earlier review of them, the arepas without anything on them is a mistake. I guess I should clarify, there is some cheese on top, but it doesn’t come anywhere close to saving the dish. This is about as close to a waste of money as you’ll find at the Festival of the Holidays. 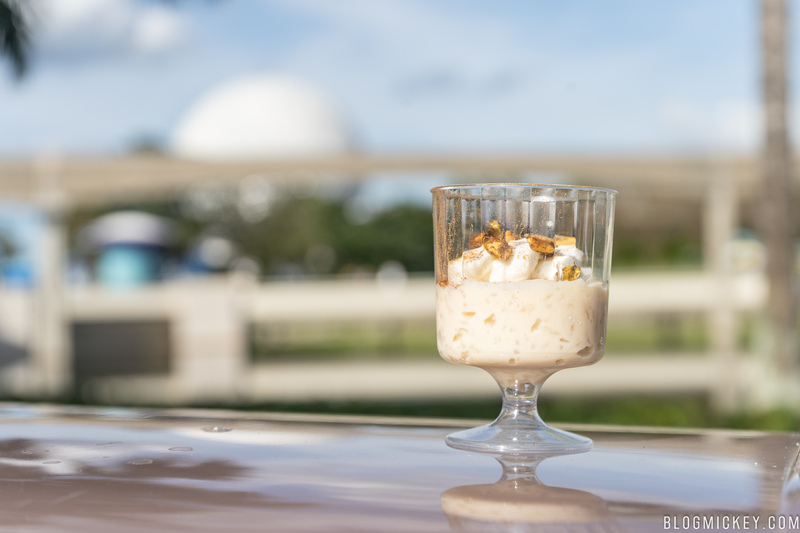 Rounding out the standard food offerings is the tres leches rice pudding. 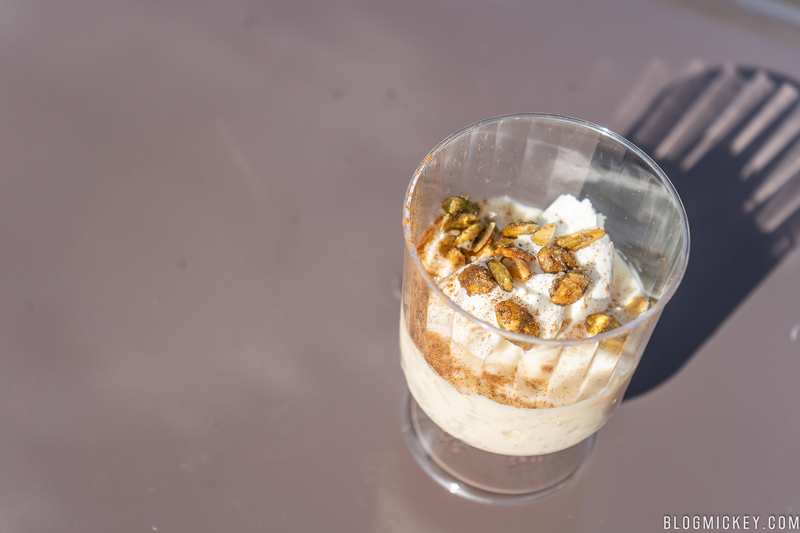 A tiny cup comes only half-filled with rice pudding and topped with pumpkin seeds. If you’re planning on stopping at the Feast of the Three Kings, this is the dish to get. I would probably recommend looking over the premade options, and requesting the cup with the largest portion, as $4.25 is a bit steep for what we received. That said, the tres leches rice pudding was excellent. 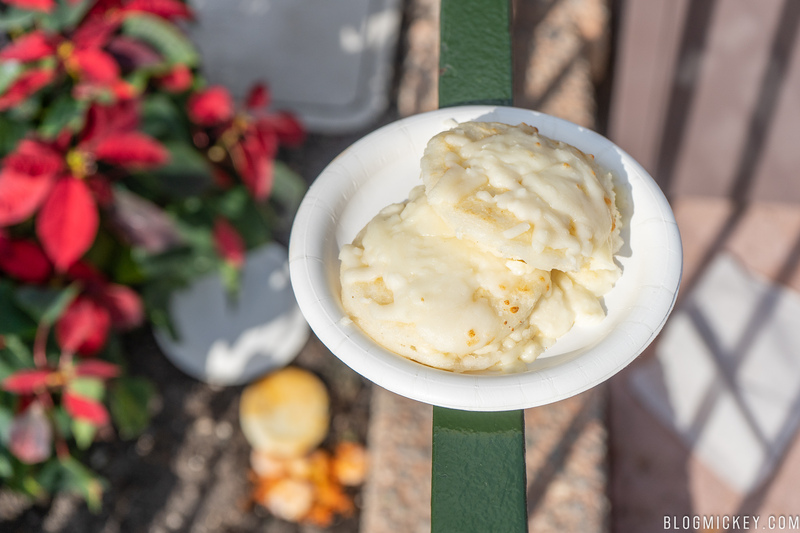 The flavoring of tres leches came through nicely and paired with the rice pudding smartly. A nice crunch was added to the texture via the pumpkin seeds. Next up is the red and green chocolate chip cookie that is part of the cookie stroll offering. 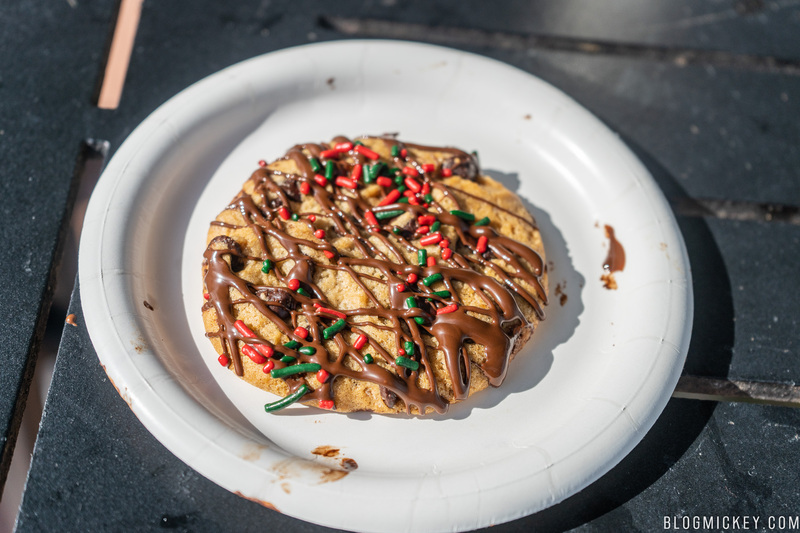 We’ll have more on the cookie stroll in a subsequent post, but let’s review this first. I will say that most, if not all of the cookies were disappointing this year. With this dish, you’ll find a standard size cookie with a slightly-above-standard attempt at decoration. The cookie itself falls under the standard chocolate chip taste. If you’re not specifically buying it for the cookie stroll, you can safely pass on this. 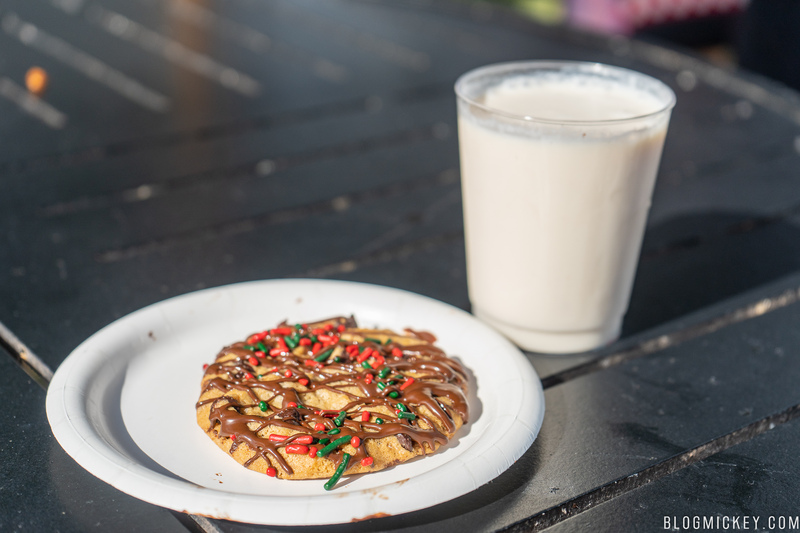 No, that’s not cookies and milk, it’s a coquito. Coquito, meaning “Little Coconut” in Spanish, is a traditional Christmas drink that originated in Puerto Rico. It’s made with coconut, but earns its use during the holiday season due to the eggnog flavor. It was good, not great. The rum floater wasn’t overpowering, but managed to get the job done. I would say this comes down to a coin toss as to whether you’d enjoy it. I don’t think it does enough on its own to recommend though. For those looking to keep alcohol out of their World Showcase experience, there is a non-alcoholic version that can be purchased for $4.25.